To appeal a decision from a lower court, it helps to have a lawyer with solid credentials and extensive experience. At Swope, Rodante P.A., our appellate practice attorneys have both of these traits. Our appellate lawyers have handled hundreds of appeals and other types of appellate proceed/sings. They also have board certification in appellate practice, legal publications, and legal seminar presentations. 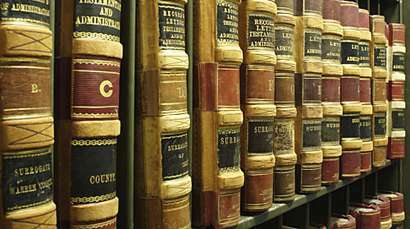 Appellate practice is the practice of representing clients in appeals and other appellate courts. An appeal is a process by which either party to a lawsuit may request a higher court to review the decision of a lower court after a final decision has been made whether that party won or not. While the party that lost would want to reverse the judgment, the party that won may want a larger settlement. The knowledge and experience our attorneys bring to their clients is important because the appellate process is complex. Even if a claimant has new issues to raise or new testimony, it may not help them to win an appeal. The higher court’s review is normally limited to an examination of the record from the lower court with no new issues raised or testimony taken. The higher court’s review may result in affirming, reversing, modifying or remanding the lower court’s decision. Our attorneys know that it takes hard work and determination, and they are willing to put in the time it takes to win your case. What are the other types of appellate proceedings? The other types of proceedings heard by appellate courts are petitions for common-law writs of certiorari, mandamus, and prohibition. These proceedings are conducted similarly to appeals but have a much more limited scope of review. To find out more about these proceedings, contact us. Although it is theoretically possible for an appeal to be concluded within about six months, an appeal typically lasts about a year, sometimes longer. If you would like to ask us a question or find out more about the appellate process, contact us. The parties in the appeal cannot present evidence or testimony to the appellate court. The appellate court will only review the record that was created in the lower court. Also, the appellate court will not decide disputed issues of fact, such as which witness’ testimony was more believable. It can only decide whether the lower court followed the law correctly and whether there was any substantial competent evidence at all to support the decision of the lower court. There is no discovery in appeals, and typically there is only one court date. At that court date, the judges who will decide the appeal listen to legal arguments from the attorneys representing the parties to the appeal and have an opportunity to ask them questions. No witnesses testify. The judges make their decision based on the record of the trial court, the parties’ briefs, and the oral argument. In some appellate proceedings, no oral argument is held. If you would like to find out more about the appellate process, contact us. What do I look for in an appellate lawyer? Extensive experience in appellate practice and solid credentials are essential characteristics of a good appellate lawyer. An appellate lawyer must be well versed in the law and have excellent skills in legal research and writing. Our appellate lawyers fit these criteria. To contact one of our attorneys specializing in appellate practice, contact us.